A great opportunity is being offered to support the education and research in developing nations. 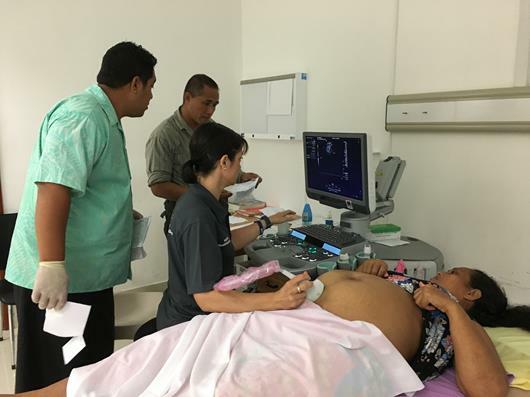 ASUM Outreach is supporting five travel grants for those looking to participate in the 17th World Federation for Ultrasound in Medicine and Biology Congress (WFUMB19) to be held in Melbourne from 6-9 September 2019. Further information and application is available on our website. 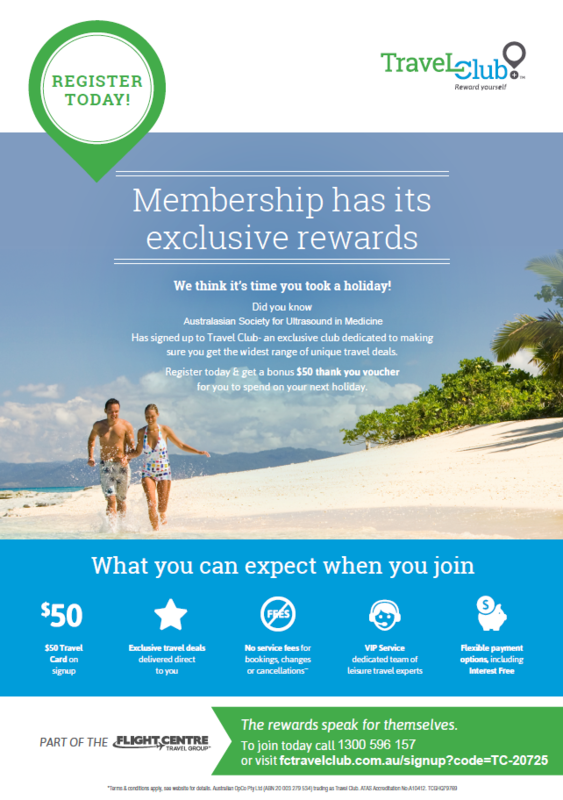 Join now to recieve membership until 30 June 2018 for a reduced rate of the full membership fee. 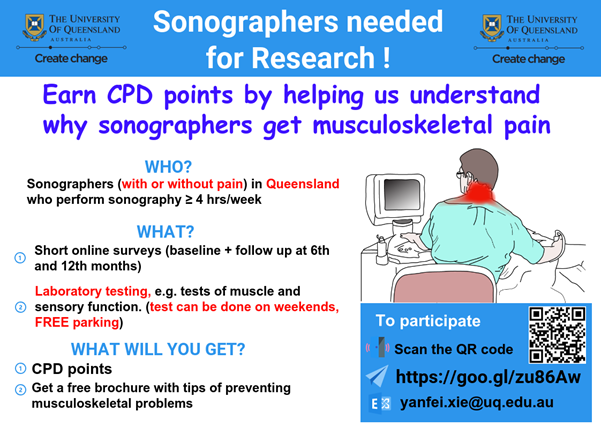 An online survey regarding risk factors of musculoskeletal pain in sonographers. Please click here to complete the survey. A lab session (based in UQ). They will test your response to heat, cold, pressure and mechanical stimuli, physical strength and stiffness of neck and shoulder muscle. Up to 3 CPD points will be awarded. Please feel free to contact Yanfei on yanfei.xie@uq.edu.au if you have any enquires. 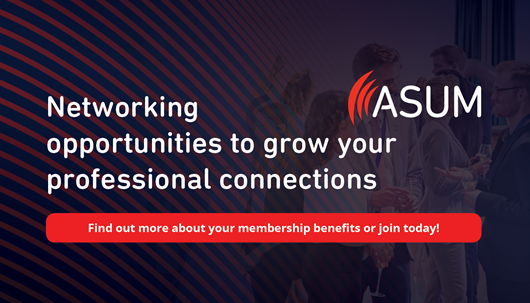 If you would like to unsubscribe from all ASUM communication, click here to login to myASUM and change your preferences, or email membership@asum.com.au. To unsubscribe from RealTime News only, click the Unsubscribe link below.